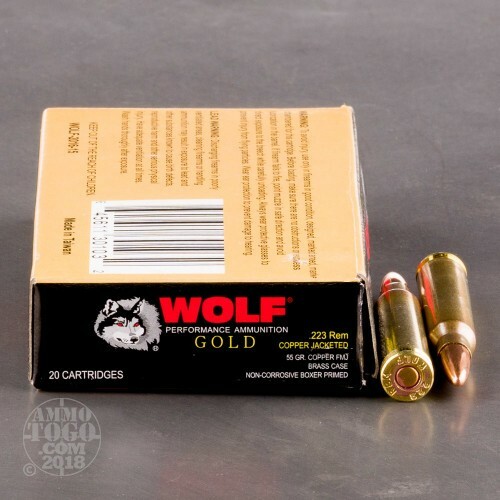 This ammunition, produced by Wolf, is a part of their premium line of ammo, under the marketing name Wolf Gold. 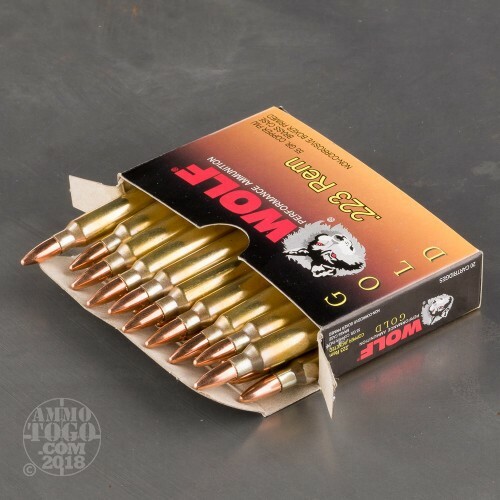 This line of ammunition is different from typical Wolf ammunition because this ammo is brass cased and Boxer primed instead of steel cased and Berdan primed. Each one of these rounds is loaded with a 55 grain FMJ bullet and can reach muzzle velocities of about 3,250 feet per second. It may not be match grade, but it will provide reliable and accurate range training, plinking, and even tactical training. 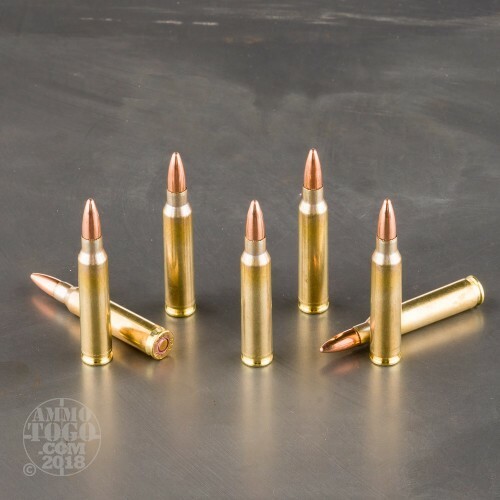 This ammo will function perfectly in any AR-15 type rifle and will also function well in bolt-action rifles. 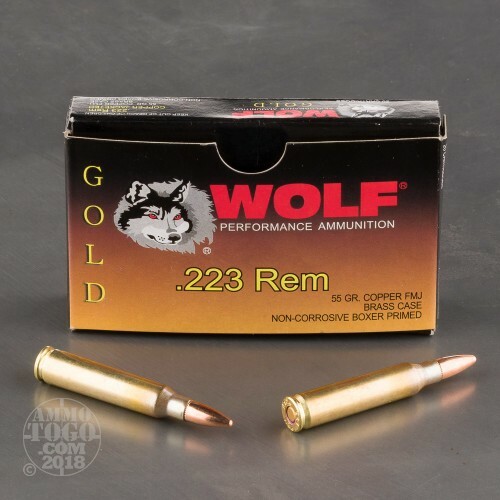 Order your Wolf Gold 223 Rem ammo today, and keep your AR fed! Good stuff. 1 moa or less out of Stag Arms model 3 with CMC single stage 2.5 lbs trigger. I love these guys. Had to cancel orders from a couple of different sights after waiting a week to find out my order was back logged because they were still processing from several weeks earlier. Ammo-to-go had my order processed and delivered in under a week!! I just finished off this ammo, not really anything to brag about other than the cost. The ammo caused so much carbon buildup, that it failed to chamber a round or let me extract the partially chambered round at the range. When I got home it took a screw driver to pry back the bolt to get the round out. Cleaned the weapon and no more issues with the ammo. For the price I payed it was good. When I ordered the ammo it got to me in a timely (5 days) manner, it was exactly what I ordered. My wife and I went shooting and put about 250 rds. down range. We had no misfires and the ammo was excellent, the only drawback from what I could tell was what seemed to be excess carbon buildup. I would highly recommend this ammo, and also Ammo To Go they meet all my expectations.